The size of the entire installation was approx. 5 x 12 meters. 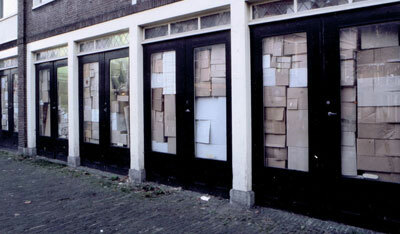 Storage was set up within a vacant shop that had been empty for years within the city center of Leiden. The building was closed because of strict health and safety regulations. There were concerns about the state of the building and possible polluted ground. Despite its location, in the midst of a touristic and commercial area, it remained closed. Many people wanted to exploit the building commercially, but the city council, owner of the building, didn’t want to take the risk of renting it out. Except for using the space as an exhibition space during the annual arts festival. 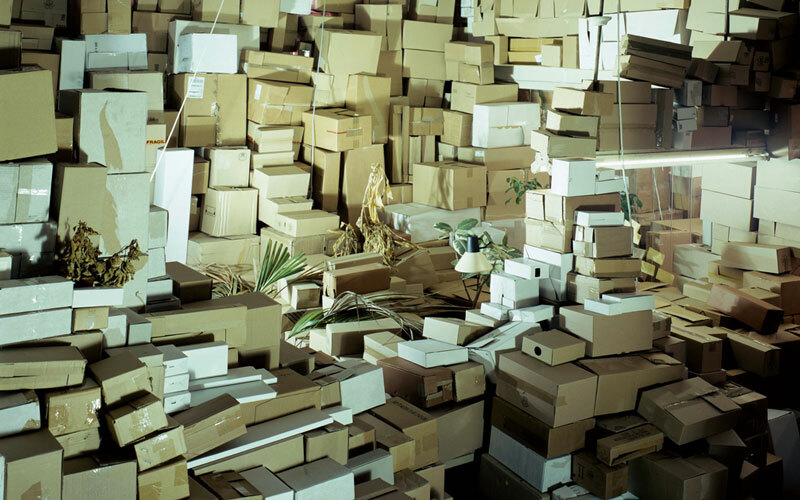 For the festival we used the space as a storage room for empty carton boxes that were collected from the shops in the neighbourhood. 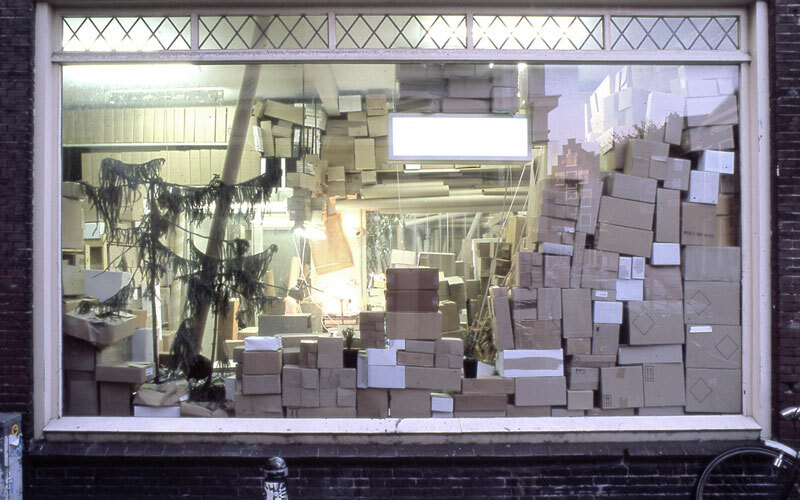 These boxes formed the main material for an installation that resembled a storage space that would normally be located under or above the main retail space. 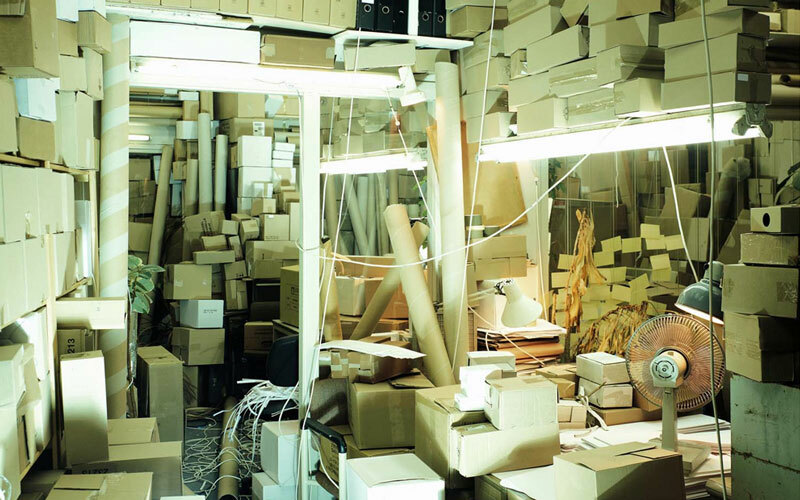 These spaces are always hidden away and are certainly not visible for customers. 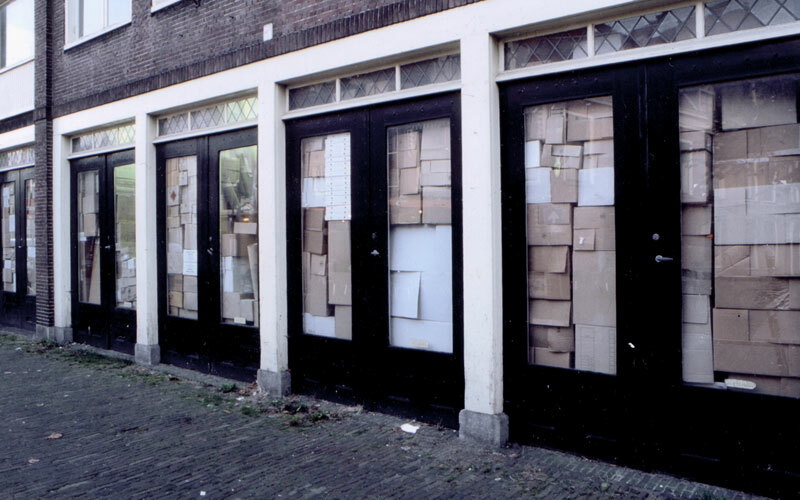 Because of the big shop-windows, the passersby in the streets had a good view of the installation. A lot of people were looking inside and wondered what was going on. Sometimes they knocked on the window asking for an explanation. The project provoked discussion about regulations put up by the council in relation to city planning.